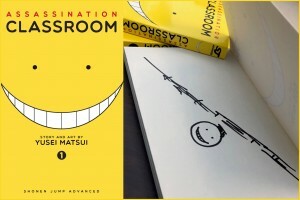 CBLDF reported last week that popular manga, Assassination Classroom by Yusei Matsui was pulled from a school library on Staten Island, without adhering to the New York City Department of Education guidelines. The comic is currently pending review by an evaluation committee, but in the meantime, it remains unavailable to readers who may find insight and enjoyment in its pages. Today, National Coalition Against Censorship, KRRP member, posted eloquently about the situation. Check out the Reward Zone to get your own signed copy of Assassination Classroom and help support CBLDF in the fight for students’ right to read freely!